Exclusive perfume for your car | What Car? Want to buy an alluring scent for that significant other in your life? 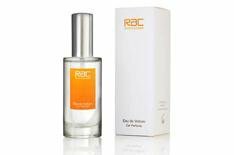 Then the RAC's new Eau de Voiture perfume for cars should be just the job. The RAC has launched the limited-edition 'perfume' to give your car that 'new car' smell for a fraction of the price of hitting the forecourt. You'll have to be quick, though, as just 100 bottles of the scent have been made available. It's all for a good cause, too, as profits will go to the RAC's staff charity, The Railway Children. You can buy it here now for 10.99.